In 1915, a young girl made a simple, but momentous decision that affected the lives of her fellow residents in the Kansas City Bottoms. The girl, name unknown, decided to attend church. Surely the sight of a bedraggled, impoverished child from the Bottoms must have caused a stir in the pews of the church she attended, but if it did, the child did not notice. Instead, she asked her Sunday school teacher, Miss Minnie McKenna, for help. With Christmas looming ahead, McKenna turned to the Women’s Civic Club for assistance. Eager to help those in need, the Women’s Civic Club leapt into action, and helped establish a mission to the poor. Members initially contributed $90 to start a building fund and formed a committee to bring in more funds. 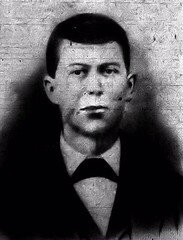 Howard Murphy offered land for the mission and Mayor Jesse F. Osborne, P.A. Christman, and James McConnell agreed to create a building committee. Within a few days, a small single story structure was completed, and was named “Sunshine Mission.” The humble building served as the site of the first Christmas tree and Christmas services held in the Kansas City Bottoms. The Women’s Civic Club received assistance from numerous other religious and civic organizations eager to show their support for the project. Christmas presents and candy were distributed to the children. Residents of Sunshine Hollow could attend Sunday school services at the mission, take sewing and crocheting classes, and join a mother’s club. The Sunday school services were taught by young men and women from across Joplin’s religious community. Their efforts persisted until 1918 when, due to World War One, their efforts were redirected to the war effort. 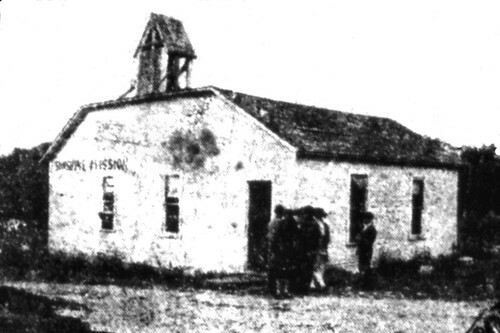 In 1919, members of the First Christian Church rallied to reopen the mission, but their work was halted when a ban was placed on public meetings due to the threat of Spanish influenza. A year later, the mission was once again reopened, and the number of attendees grew. It was during this time that the building was moved from the site of the Union Depot to an area further north “just east and north of the viaduct on the North Main Street road.” The building was the enlarged and painted white with paint donated by Eagle-Picher. The first full-time minister at Sunshine Mission was the Rev. Mr. Ashworth. After three years he left and was replaced by the Rev. 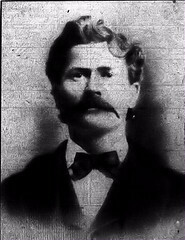 William Kelley. Kelley’s tenure at the Sunshine Mission will be continued in the next post. Stay tuned for Part IV of the history of the Kansas City Bottoms! 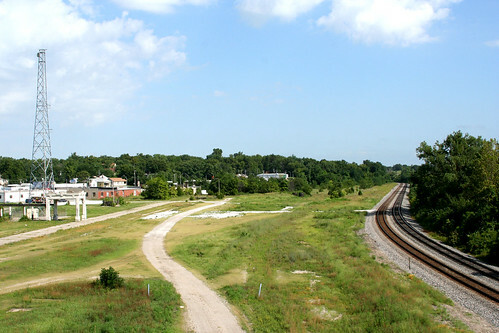 A portion of the Kansas City Bottoms was leveled to make way for the new Union Depot station (left side of photo). As time passed and mining operations relocated across the area, the Kansas City Bottoms was transformed as “a few factories and mills” dotted the valley and its hillsides. Although there was talk that the Kansas City Southern Railway would build rail shops in the bottoms, the project never came to fruition. This led to an effort to “more or less isolate the city’s riff-raff of humanity there. It became a sort of ‘red-light’ district, and flourished with gayety, containing gambling houses, saloons, dance halls, and rooming houses.” As Joplin continued to grow, the area grew more desolate, and “buildings were moved, burned, or fell in ruins.” The Kansas City Bottoms soon became a sprawling slum that doubled as a dumping ground. At the turn of the century, an angry mob descended upon the Bottoms and chased out a number of prostitutes who had taken up residence there. Soon the area became populated with African Americans, some of whom had been chased out of Pierce City in 1901, after a brutal race riot ended in the expulsion of Pierce City’s black residents. That same year, however, the Kansas City Bottoms would experience a significant transformation for the first time since Sergeant first struck lead.